Wayne M. Sotile, PhD, is the founder of The Sotile Center for Resilience and the Center for Physician Resilience. As an international thought leader on physician behavior and resilience for high performers, he consults widely with medical group practices, health care systems and corporations interested in learning evidence-based strategies for deepening collaboration and promoting team engagement, while coping with change. He has authored or co-authored nine books and he has published widely in the peer-reviewed medical literature. Zubin Damania, MD, is an internist and founder of Turntable Health, an innovative healthcare clinic that was part of an ambitious urban revitalization movement in Las Vegas. During his decade-long career as a hospitalist at Stanford, Dr. Damania began a shadow career under the pseudonym ZDoggMD, performing stand-up comedy and creating parody videos for medical audiences worldwide. He subsequently founded ZDoggMD Industries, the digital production studio behind the Internet’s #1 medical news and entertainment show, Incident Report LIVE. Reaching millions of viewers weekly, Dr. Damania leads a passionate tribe of healthcare professionals towards a vision of Health 3.0. Dr. Eisenberg is the R.K. Thompson chair of the department of neurosurgery at the University of Maryland. He has special interests in brain tumors, skull based surgery, acoustic neuroma, epilepsy and movement disorders. Dr. Eisenberg received his medical degree from the State University of New York and was a two-year general surgery resident at New York Hospital - Cornell University School of Medicine. He was a neurosurgery resident at the Brigham Women’s and Children’s Hospital in Boston. After two years in the Navy, he completed a research fellowship at Harvard and was a junior faculty member. From there, he moved to University of Texas where he became chief of neurosurgery. He moved to the University of Maryland in 1993. In today’s lightning-quick, smart-screen world, most of us are walking around unthinking, asleep and lost in routine. But today, leading neuroscientists, psychologists, and social scientists are mapping how the brain actually works — its strengths, weaknesses, biases and quirks. Maria Konnikova is translating insights from the frontiers of the mind into imminently readable, perspective-changing prose — both in her New Yorker blog and in her New York Times bestsellers. Her latest book, The Confidence Game: Why We Fall for It … Every Time, is a compelling investigation into the minds, motives and methods of con artists. It is a careful, nuanced study of the art of persuasion and deception. Robert E. Harbaugh, MD, FAANS, FAHA, is senior vice president of Penn State Health, representing faculty physicians. His research interests include clinical trial design, outcomes analysis, quality improvement in neurosurgery and neural engineering. Among the many positions he holds and has held, Dr. Harbaugh is presently Chairman of the Board of organized neurosurgery’s quality improvement and data management company, the NeuroPoint Alliance, Inc. He received the AANS Distinguished Service Award in 2018. He has five children and is married to Kimberly S. Harbaugh, M.D., a neurosurgeon specializing in peripheral nerve surgery. Jaimie Henderson, MD, FAANS, is director of the stereotactic and functional neurosurgery program at Stanford and co-director the Stanford Neural Prosthetics Translational Laboratory (NPTL). Dr. Henderson’s research interests encompass several areas of stereotactic and functional neurosurgery, including frameless stereotactic approaches for therapy, deep brain stimulation, cortical physiology and its relationship to normal and pathological movement, neural prostheses and the development of novel neuromodulatory techniques for the treatment of neurological diseases. Throughout his career, Dr. Henderson has been intimately involved with the development of the field of image-guided surgery and remains one of the world’s leading experts on the application of image-guided surgical techniques to functional neurosurgical procedures, such as deep brain stimulator placement. His work with the Stanford NPTL focuses on the dual goals of creating clinically viable interfaces between the human brain and prosthetic devices to assist people with severe neurological disability, and investigating fundamental questions in human neuroscience. Shelly D. Timmons, MD, PhD, FACS, FAANS, is Professor of Neurosurgery at Penn State University (PSU) Milton S. Hershey Medical Center. She is Vice Chair for Administration of the PSU Department of Neurosurgery, as well as the Director of Neurotrauma. She currently serves as President of the American Association of Neurological Surgeons (AANS). While Dr. Timmons performs many types of neurosurgical procedures, her specialty is in neurotrauma and neurocritical care. She has been a researcher and educator in the field for over two decades. Dr. Timmons has published and lectured extensively on a variety of topics related to TBI, neurocritical care, blunt vascular injury and trauma systems. Linda M. Liau, MD, PhD, MBA, FAANS, is a professor, the W. Eugene Stern chair of the department of neurosurgery at the David Geffen School of Medicine at UCLA and co-director of the UCLA Brain Tumor Center. She is the principal investigator and director of the NCI-designated UCLA Brain Cancer Specialized Program of Research Excellence (SPORE). Her research interests include translational experimental therapeutics of cell-based immunotherapy for brain tumors and the characterization of biomarkers of response to immune-based therapies. She is internationally recognized for her achievements in understanding the immunology of malignant brain tumors and pioneering the use of dendritic cell-based vaccines for glioblastoma. Clinically, she has developed novel ways to map brain function during awake brain tumor surgeries, and specializes in surgery for brain tumors in eloquent areas. Charles A. Nelson III, PhD, is professor of pediatrics and neuroscience as well as professor of psychology in the Harvard Medical School Department of Psychiatry and professor of education in the Harvard Graduate School of Education. He also holds the Richard David Scott Chair in Pediatric Developmental Medicine Research at Boston Children’s Hospital. His research interests center on a variety of problems in developmental cognitive neuroscience, including the development of social perception; developmental trajectories to autism; and the effects of early adversity on brain and behavioral development. He chaired the John D. and Catherine T. MacArthur Foundation Research Network on Early Experience and Brain Development and served on the National Academy of Sciences (NAS) panels that wrote From Neurons to Neighborhoods, and more recently, New Directions in Child Abuse and Neglect Research. Joshua B. Bederson, MD, FAANS, is professor and system chair for the department of neurosurgery at Mount Sinai Health System. He is an expert skull base and cerebrovascular neurosurgery and serves as co-director of the Skull Base Surgery Center, co-director of the Pituitary Care and Research Center and Clinical Director of the Neurosurgery Simulation Core. Dr. Bederson has a clinical and academic interest in advanced simulation technology, robotics and augmented reality in the operating room, specializing in surgery treatments of complex brain and spine pathology. Joseph Maroon, MD, FAANS(L), is regarded as a premiere specialist in the surgical treatment of injuries and diseases of the brain and spine, specializing in minimally invasive procedures. He has an international referral base, including numerous professional athletes and celebrities. He has conducted extensive research into neurotrauma, brain tumors and diseases of the spine, which has led to many innovative techniques for diagnosing and treating these disorders. His research efforts have garnered him numerous awards from various national and international neurological societies. Harold Koenig, MD, after a 32-year career in Navy medicine, retired as Surgeon General of the Navy and Chief of the Bureau of Medicine and Surgery in 1998 with the rank of Vice Admiral. Prior assignments include Deputy Assistant Secretary of Defense (Health Affairs) and other headquarters positions. He was commanding officer of the Navy’s Health Sciences, Education and Training Command and the Navy Hospital, San Diego. Prior to that, he was a practicing physician in three separate navy hospitals. Robert J. Dempsey, MD, FAANS, is the Manucher Javid professor and chairman of the department of neurosurgery at the University of Wisconsin. He specializes in cerebrovascular surgery of intracranial aneurysms, carotid endarterectomy and brain tumors, and co-directs the U.W. stroke program. With over 35 years of NIH funding, Dr. Dempsey has multiple research projects with a focus on cerebral ischemia, vascular cognitive decline, and repair of the injured brain with over 300 publications and over 90 research grants. Stephen Haines, MD, FAANS, is a professor at the University of Minnesota. His clinical interests are in surgery of the posterior fossa and cranial nerves, open and endoscopic skull base surgery and pediatric neurosurgery. He has an active practice in trigeminal neuralgia, complex hydrocephalus, the treatment of Chiari malformations and adults with congenital structural abnormalities of the nervous system. Dr. Haines’ primary research interest focuses on applying advanced clinical research techniques to neurosurgery and developing resources for the evidence-based practice of neurosurgery. David Ferrucci, PhD, is the award-winning AI researcher who led the IBM Watson team from inception in 2006 to Watson’s defeat of “Jeopardy!” in 2011. In 2013, he joined Bridgewater Associates, where he is the director of applied AI. He founded Elemental Cognition in 2015 in pursuit of the next AI milestone: Create AI that autonomously learns from human language. Dr. Ferrucci holds a PhD in computer science and over 50 patents and papers on AI and automation. He has won many awards for his work, including the title of IBM Fellow and the AAAI Feigenbaum Prize. Jim Yong Kim, MD, PhD, is vice chairman and partner at Global Infrastructure Partners, a fund that invests in infrastructure projects across several sectors around the world. From July 2012 to February 2019, Dr. Kim served as the 12th President of the World Bank Group. Soon after he assumed that position, the organization established two goals to guide its work: to end extreme poverty by 2030; and to boost shared prosperity, focusing on the bottom 40 percent of the population in developing countries. A physician and anthropologist, Dr. Kim’s career has revolved around health, education and improving the lives of the poor. He has served as the president of Dartmouth College, held professorships at Harvard Medical School and the Harvard School of Public Health and Dr. Kim worked as director of the World Health Organization’s HIV/AIDS department. He led WHO’s “3 by 5” initiative, the first-ever global goal for AIDS treatment, expanding access to antiretroviral medication in developing countries. Dr. Kim co-founded Partners In Health, a non-profit medical organization that now works in poor communities on four continents. Dirk De Ridder, MD, PhD, is the Neurological Foundation professor of neurosurgery at the Dunedin School of Medicine, University of Otago in New Zealand. His main clinical interest is microvascular decompression surgery and skull base surgery, including vestibular schwannomas and pituitary surgery. His initial research interest was and still is the understanding and treatment of phantom perceptions (sound, pain), especially by use of functional imaging navigated non-invasive and invasive neuromodulation techniques. His current research interest is to understand commonalities in different diseases, such as in thalamocortical dysrhythmias (pain, tinnitus, Parkinson disease, depression, slow wave epilepsy) and Reward deficiency syndromes (addiction, OCD, Personality disorders, etc.). A third pillar of his research relates to the neurobiological underpinnings of the ‘self’ and ‘other’ in the brain, as it relates to social interactions, philosophy and religion. He has developed “burst” and “noise” stimulation as novel stimulation designs for implants, and is working on other stimulation designs. He has published 37 book chapters, co-edited the Textbook of Tinnitus and has authored or co-authored 270 articles. He is a reviewer for 90 scientific journals. Peter W. Carmel, MD, FAANS, is a pediatric neurosurgeon and chair emeritus of the department of neurological surgery of the New Jersey Medical School. He is a former president of the American Medical Association (AMA), was a member of its Board of Trustees and served as president of the AMA Foundation. Dr. Carmel served as chairman of the National Coalition for Research in Neurological Disease and Stroke, and subsequently as chair of the National Foundation for Brain Research. In this capacity, he helped the late Rep Silvio O. Conte launch the Decade of the Brain initiative, which raised millions of dollars for neurological disease and stroke research. Dr. Carmel has been elected to the board of directors of the National Patient Safety Foundation and the National Health Museum, and currently serves on the New Jersey Commission on Spinal Cord Research. John A. Wilson, MD, FAANS, is the David L. and Sally Kelly professor and vice-chair of the department of neurological surgery of Wake Forest University School of Medicine where he also serves as the co-director of the neuroscience service line. He maintains an active practice focusing primarily on cerebrovascular and skull base disorders. He currently serves as the Treasurer of the AANS, Treasurer of Neuropoint Alliance, Treasurer of Neurosurgery Research and Education Foundation and Treasurer of the Neurosurgery PAC. Dr. Wilson also serves on the Board of Directors of the Crosby Scholars Community Partnership, a college access program, and is active in other community-based initiatives. 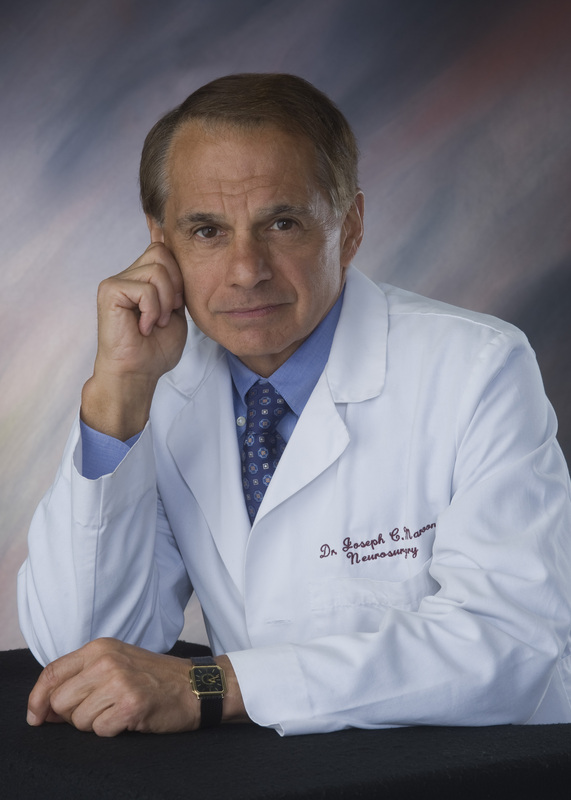 Allan D. Levi, MD, PhD, FAANS, serves as chairman of neurosurgery at the University of Miami Miller School of Medicine, chief of the neurosurgical service at Jackson Memorial Hospital, staff scientist at the Miami Project to Cure Paralysis and is the Robert M. Buck distinguished chair in neurological surgery. His basic science research involves the transplantation of human derived Schwann and stem cells after spinal cord and peripheral nerve injury.